This natural tourist attraction is not as famous as other object in East Java like Mount Bromo. However, you’ll find that less-famous doesn’t always mean less-beautiful. Away from the riot of city, the natural atmosphere and not a single building standing on this island, not even a restaurant or hotel. 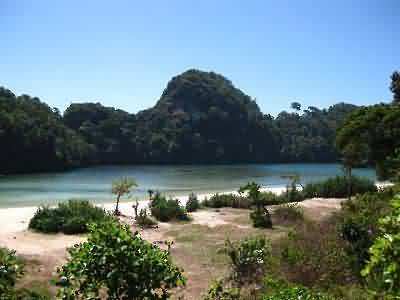 Sempu Island, is a small island located south of Java Island. 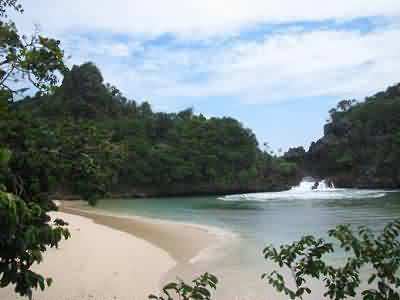 The island is located in the area of Malang, East Java. 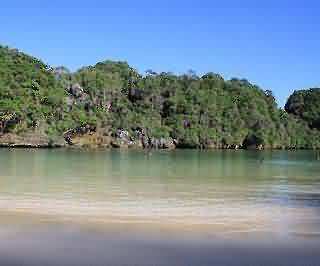 Currently, Sempu Island is conservation area protected by the government. There are more than 80 species of protected birds and also other animals such as wild boar, deer, monkey, and if you’re lucky enough you can see the traces of the leopard. 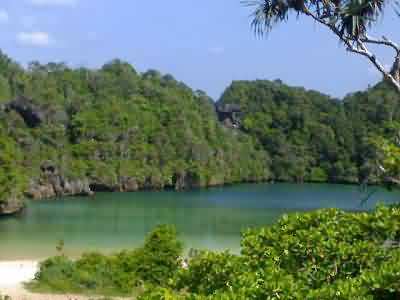 Segara Anakan is the best thing I remember about Sempu Island. It’s a lake. The water in Segara Anakan is derived from the waves crushing the rocks. Some water was flowing into the lake through large holes in the middle of the coral. If you want to stay overnight can stay at local villager’s inns. Or you could also open your own tents on Sempu Island, but campers should first ask permission at the checkpoint in Sendangbiru located directly across the island Sempu. This is done for the sake of conserving the habitat and the environment surrounding the object of this Nature Reservation.